British multi-billionaire and enormous Land Rover enthusiast Jim Ratcliffe’s plan to create a new off-road vehicle based on the original Defender has reached a new stage as it is reported they want to secure a factory by the end of the year. Projekt Grenadier was formed as a way to create a “spiritual successor” to the Defender as production of the original wound down in 2015. 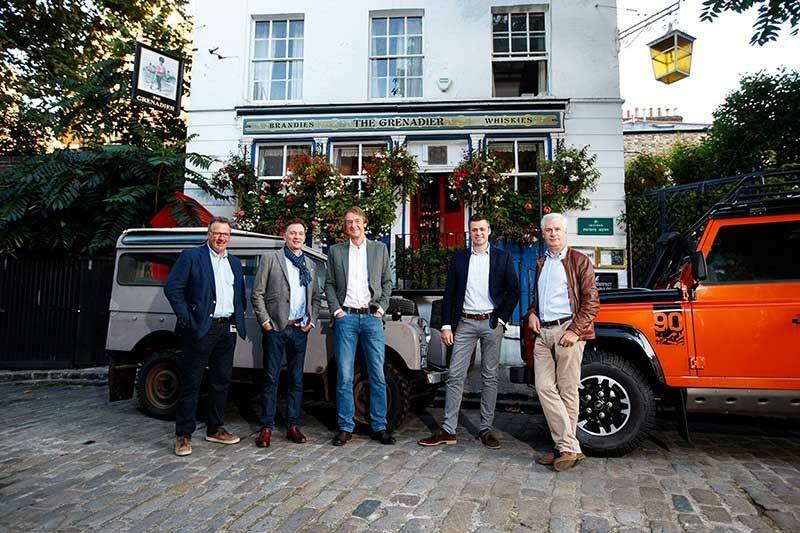 It was already known that the new Defender would be taking a more modern direction, and Ratcliffe felt there was still room for a British-built traditional 4x4 in the marketplace. With a huge fortune built on owning the Ineos chemical company -- in May of this year he became the wealthiest person in Britain -- Ratcliffe has taken what started as an idea in a pub (named the Grenadier, thus the name of the “Projekt”) and moved continuously towards making it a reality. Now there are reports they intend to find a factory to produce the new 4x4 by the end of the year. The goal is still to build the vehicle in Britain, though there is still a possibility that it will be built in Continental Europe if the costs make significantly more sense. Rumors right now say that the primary focus is a Ford engine factory in Bridgend, Wales. It currently builds the 1.6-liter EcoBoost 4-cylinder for Ford, and has a “plant within a plant” for Jaguar Land Rover’s V8 engines designed during their ownership by Ford. JLR plans to move that production to their new engine plant in Wolverhampton, England by 2020. By that time, production in Bridgend will have gone from 750,000 engines to 250,000 engines in only a few years. With their general transition to electric and autonomous automotive platforms, Ford may be interested in turning all or part of the Bridgend factory to Ineos. Projekt Grenadier will be a clean-sheet off-road vehicle, meeting all current safety regulations that the old Defender did not. It will not be a direct copy of the old vehicle, but it is intended to recapture its simple, do-anything spirit. Ratcliffe has offered to personally contribute over 600 million pounds to the project, and hopes for government backing for the rest. There have been plenty of automaker startups that never got anywhere, but it looks like Projekt Grenadier may have a decent chance of coming to fruition.